When one hears the word “family” the first thing to come to mind, probably, are those people to whom one is related by blood or marriage. The Church, though, presents us with a wider understanding of family. A family is any group of people who embrace and pass on the same story of their identity, their beginnings and their ultimate goal or destination. 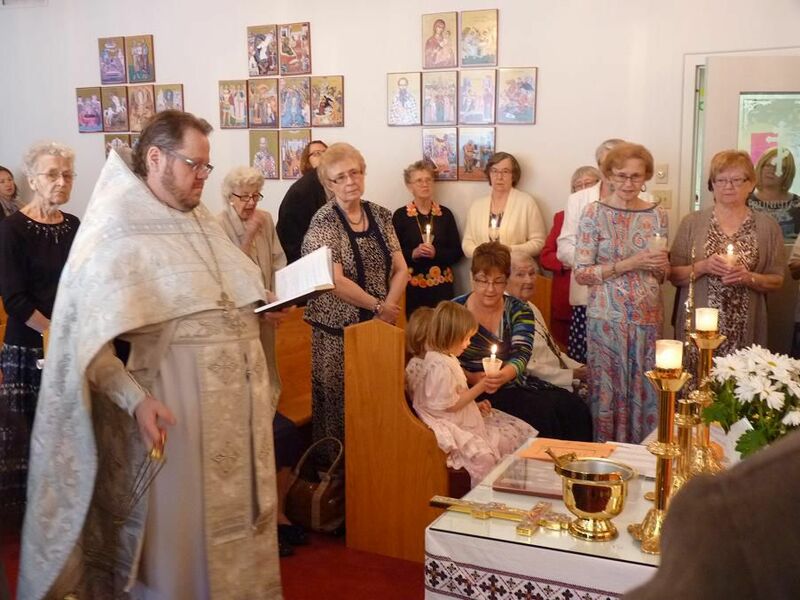 It is in this respect that we call all of the components of the Orthodox Church a family. Parishes, monasteries, dioceses, local Churches, and the world-wide (or “Ecumenical”) Church are all families. We all share a common understanding of who we are — or rather, to Whom we belong — in bearing the name “Christian”. Likewise, we all confess a common origin, or Originator: God. Finally, we all express hope for a common goal: everlasting life in God’s Kingdom. Of course, each component of the Ecumenical Orthodox Family also has its specific identifying factors. Ukrainians, Greeks, Arabs, Russians etc. all have their own specific self-expressions of the Orthodox Faith. These “specifics” make each Orthodox nation or jurisdiction an Orthodox “Nuclear Family” in the world-wide Family of Orthodoxy. Likewise, right down to the parish level, we find nuances of difference among Orthodox communities. While we have a tendency to automatically judge these differences as threats, they should rather be celebrated as signs that the Holy Spirit is still breathing life into them–as long as these differences do not compromise the fundamental doctrines and practices of the Orthodox faith. In the end, however, regardless of the nuances of difference among us, we all share one common vision of Who it is that we follow, how we came to be, and where we hope to end up in the age to come. It is this that unites us as a family. Whether I am looking at an Orthodox Christian from the other side of the planet, or one from my own parish who holds differing opinions about Church politics, I am not looking at some foreign usurper. I am looking at my brother or sister in Christ. In a world in which we can become so fractionated as Orthodox (we need look only as far as our ancestral homeland Ukraine for an example of this), it is vital to remember that it is Christ Himself who calls us to unity. That Orthodox Christians of all political stripes and historical backgrounds regard each other as members of one Body — of one Family — is not based on someone’s political agenda: it is the very will of God Himself.